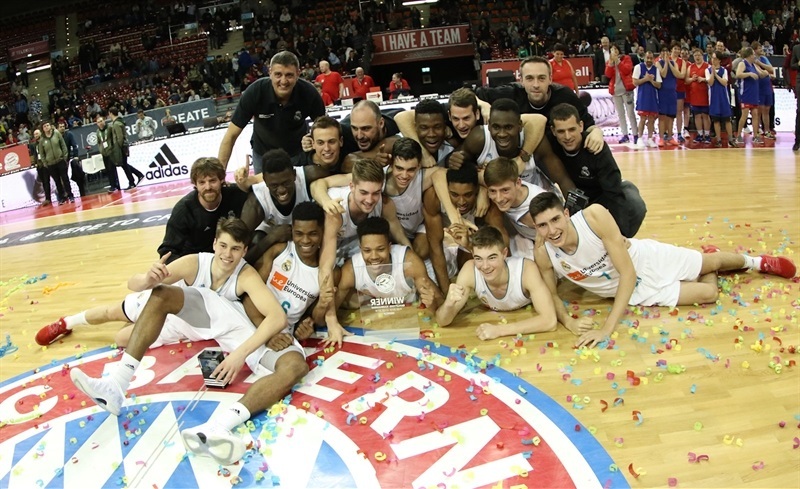 The 2015 continental champion U18 Real Madrid booked its ticket to the Euroleague Basketball ADIDAS NEXT GENERATION TOURNAMENT Finals by beating ANGT Munich host side U18 FC Bayern Munich 57-77 in the championship game. 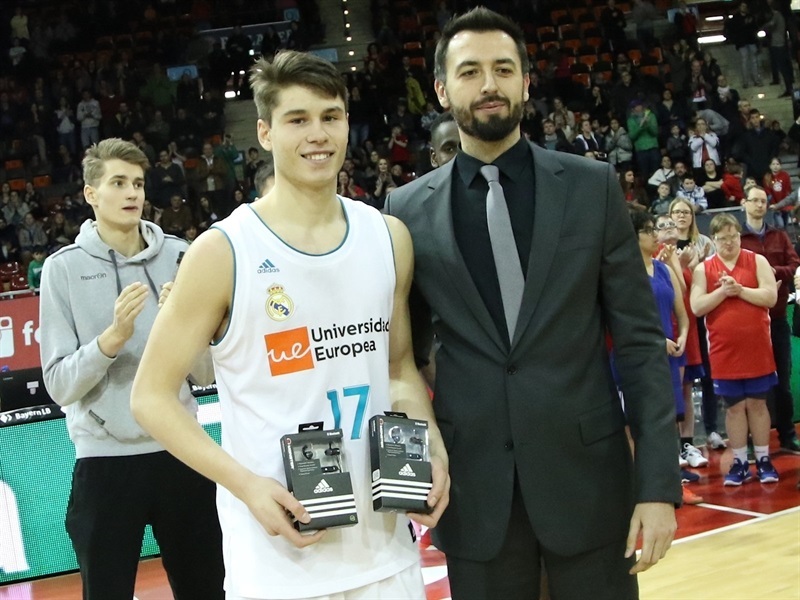 Mario Nakic led the way with 23 points, 9 rebounds and 5 assists for Madrid while Usman Garuba collected 19 points, 11 rebounds, 2 assists, 2 steals and 3 blocks. 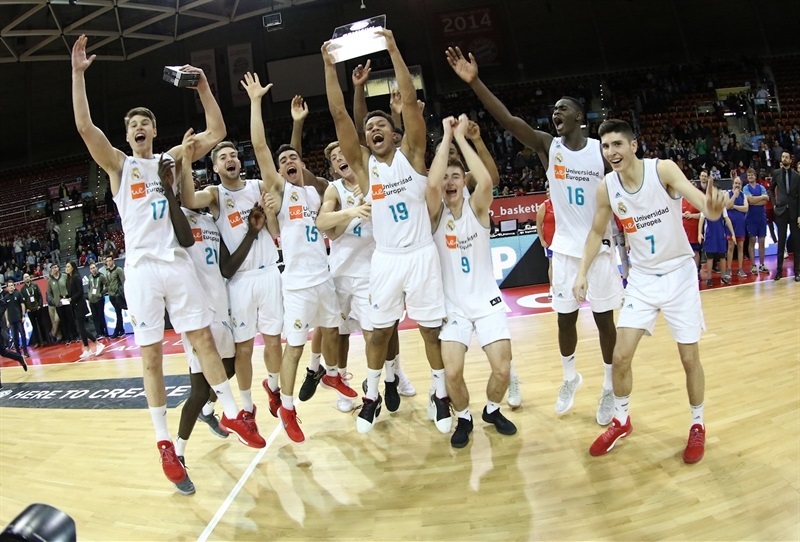 Madrid reached its fifth straight ANGT Finals and joins U18 Divina Seguros Joventut Badalona and U18 Lietuvos Rytas Vilnius, who won the ANGT L’Hospitalet and ANGT Kaunas tournaments, respectively. 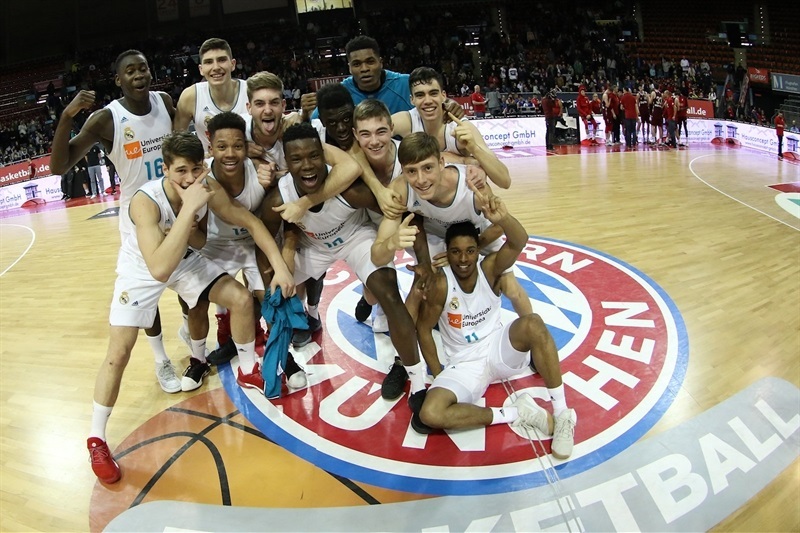 Bayern was the first German team ever to reach an ANGT qualifying tournament final, but the host team could not overcome Madrid despite 16 points from Kilian Binapfl. 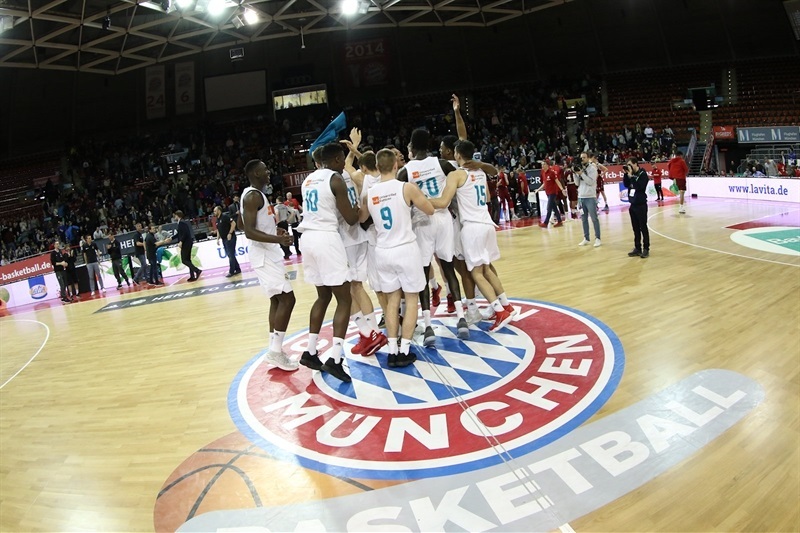 Bayern scored on its first possession but then converted just once over its next 10 trips down the court while Nakic scored 4 points and Amar Sylla hit a three-pointer as Madrid jumped ahead 4-11. 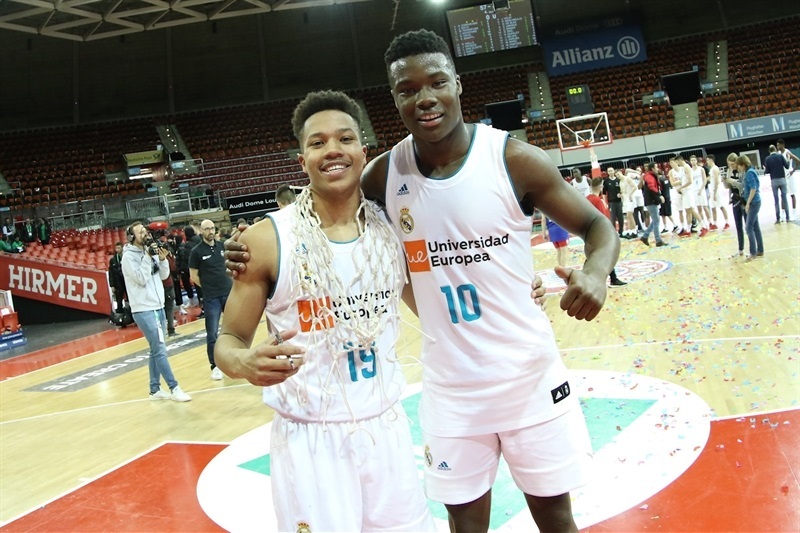 Free throws and a put-back by Garuba increased the Madrid advantage to 6-17, although Garuba was forced out for the rest of the quarter with an injured ankle. 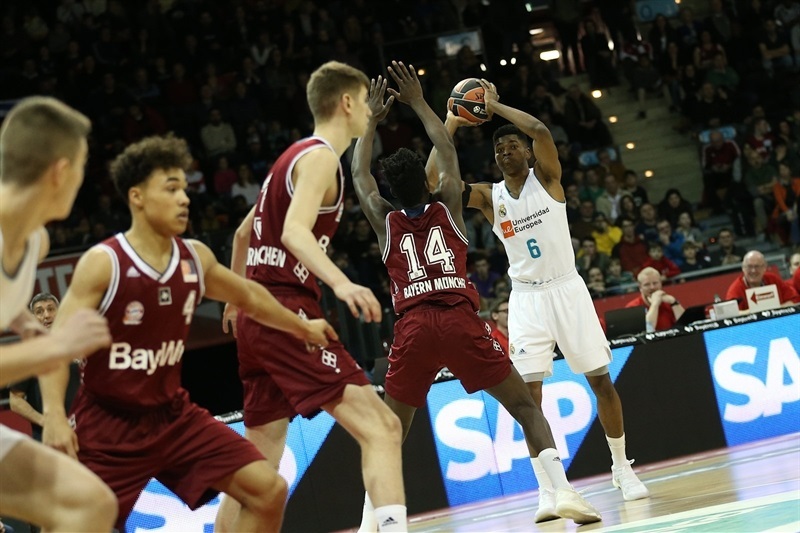 The margin was up to 6-19 until a Sasha Grant three-pointer for Bayern right before the buzzer made it 11-21 after 10 minutes. 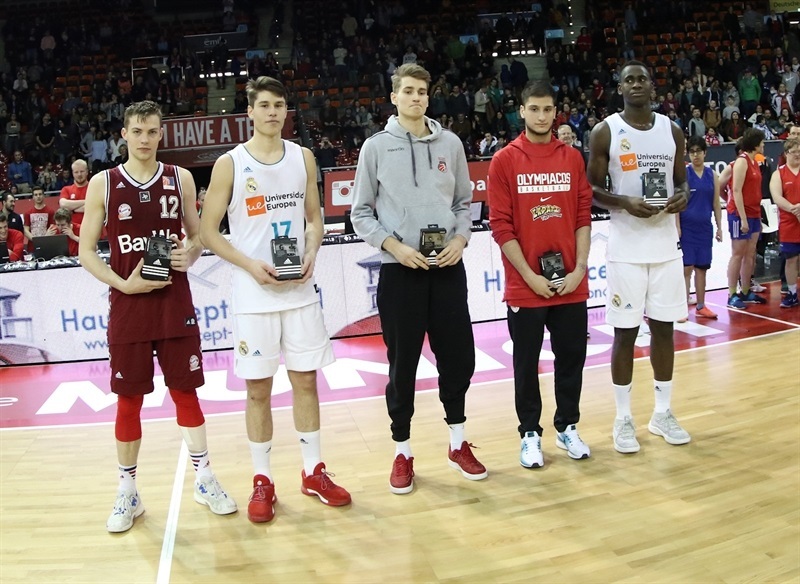 While Binapfl tried to get Bayern close, Nakic hit for 5 points and Garuba dunked home an offensive rebound to make it 20-30. Bayern managed six straight defensive stops but could only get to within 26-30. 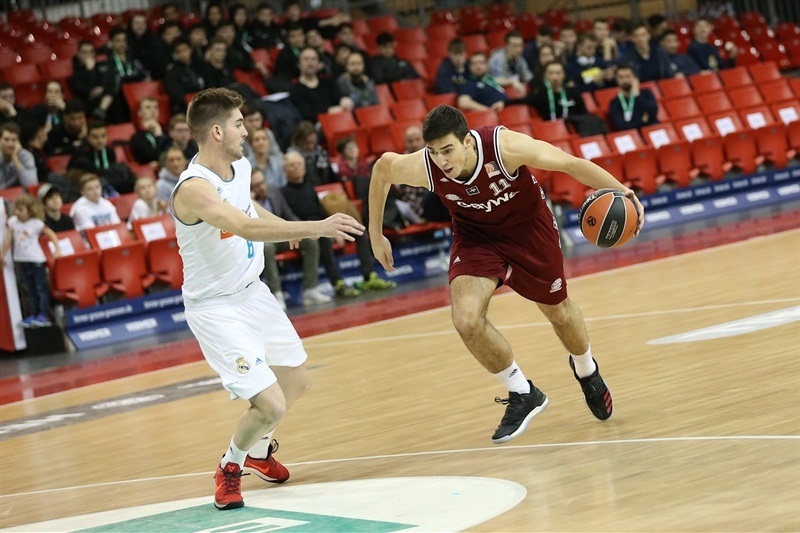 Nakic brought Madrid out of its slump with a three-point play and a subsequent free throw and Diego De Blas nailed a three-ball just before the halftime buzzer to put Madrid ahead 26-38 at the break. 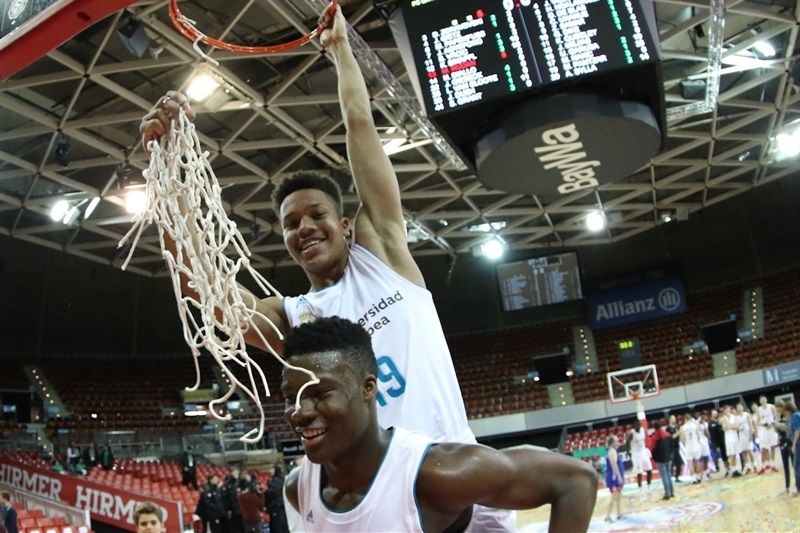 A three-point play from Bayern’s Julius Dueh trimmed the gap to 31-42 early in the third quarter, but Madrid held the home team scoreless for nine possessions over 6 minutes while extending its lead to 31-52. 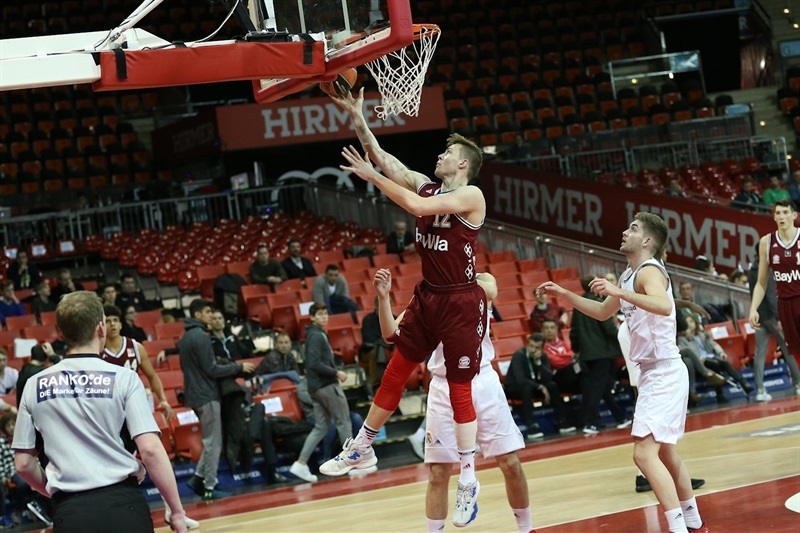 Bayern was able to come up with some scores eventually, with Bruno Vrcic hitting for 5 points in the next couple of minutes, but Madrid still led 40-60 after three quarters. 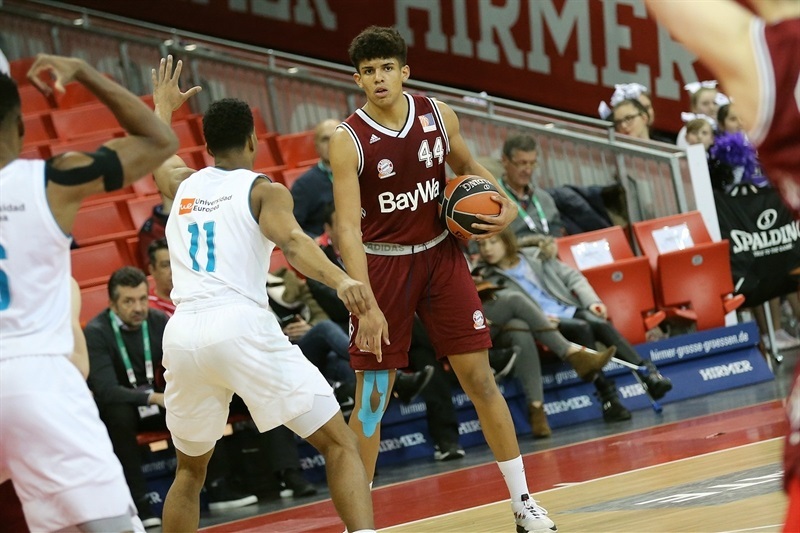 Dueh converted a three-point play and scored inside as Bayern cut the gap to 47-61 early in the fourth and Grant trimmed the deficit to 53-64 inside the five-minute mark. 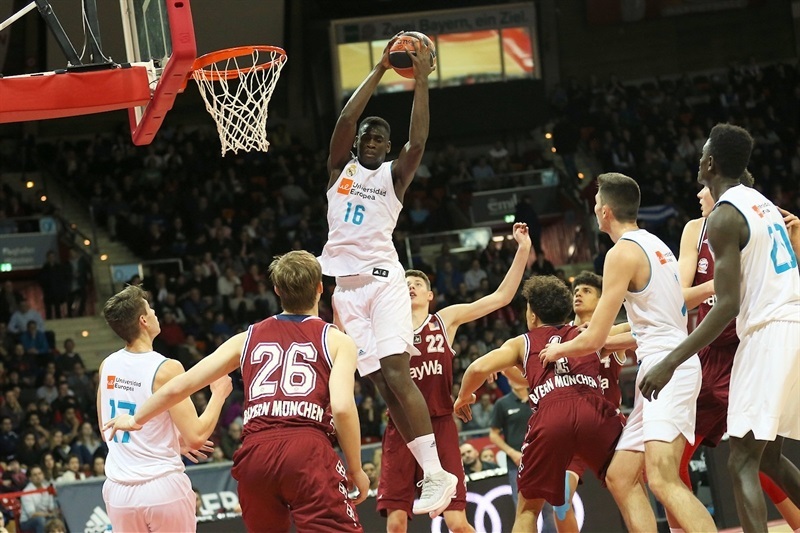 But after a number of outside shots, Madrid went inside to Garuba and Sylla, who scored for a 53-68 lead. 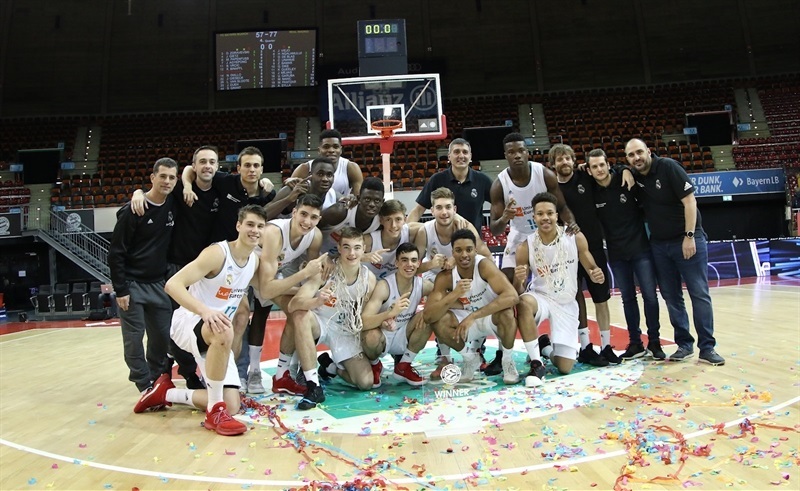 Nakic’s three-ball with 1:49 left made it 55-71 and started the Madrid celebrations.